The idea of growing plants year-round by controlling environmental factors dates back as far as the Roman Empire. Emperor Tiberius Caesar had moveable plant beds built that could grow cucumbers year-round by being brought inside during cold or unfavorable weather. While today it’s possible to grow crops indoors, without soil or sunlight — the way we do at Bowery — this wasn’t always the case. In this post we’re going to provide an overview of the evolution from traditional field farming to industrialized agriculture, explain the differences between greenhouse farming and vertical farming, and introduce you to some of the different techniques used in modern farms today. Around the time of the American Revolution, 90% of the population were farmers. Today, only 3% of the U.S. population is employed on a farm, and 2% of U.S. farms produce 70% of all domestic vegetables. (1) So how did we get here? 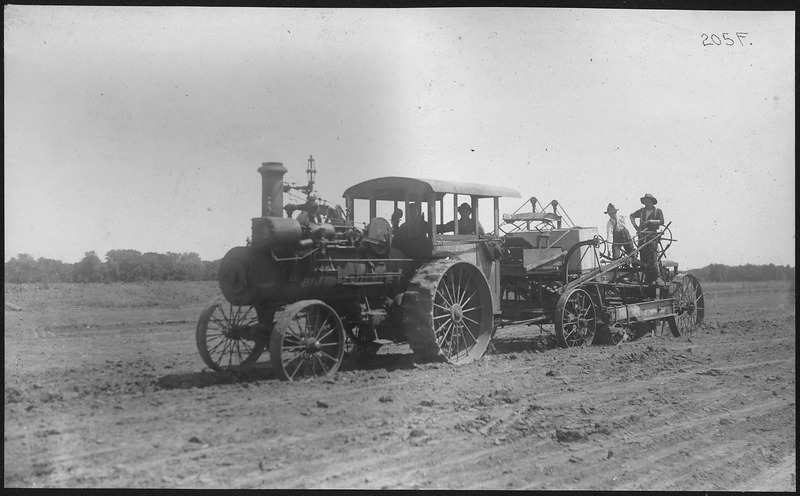 “Excavator on Mile 52 being pulled by traction-engine, plow side. August 8, 1904” by War Department Office of the Chief of Engineers, Chicago District. Image from the National Archives and Records Administration, CC-PD-Mark, PD-USGov. 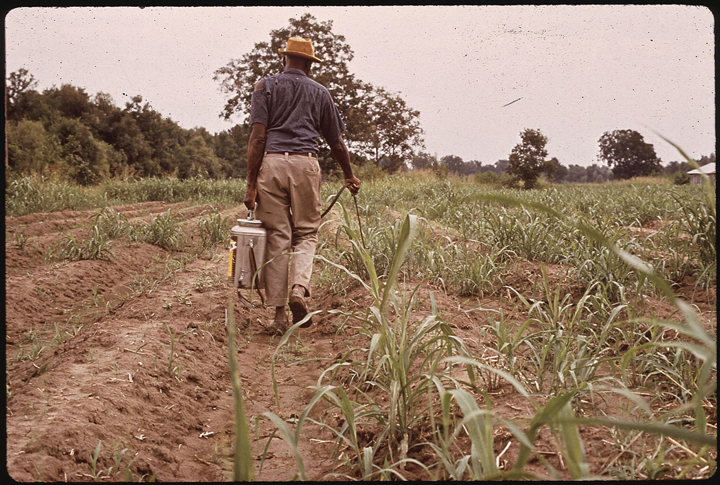 Between the 1930’s and the late 1960’s, The Green Revolution accelerated new methods and technologies that increased agricultural production worldwide, including the transition from animal to mechanical power, the increased the use of chemical fertilizers, agro-chemicals and synthetic pesticides, and single cropping practices. The rapid industrialization of agriculture during this time period required farmers to become more efficient to remain competitive. It resulted in small farms, which had historically grown a wide variety of crops, being pushed out by large, corporate farms specializing in large-scale monocultures of single high-yielding crop varieties, like corn, soy, or wheat. These corporate farms were able to produce large quantities of food more efficiently to feed a growing population. Yet, this progress occurred at an environmental cost: the proliferation of synthetic pesticides, widespread soil depletion, and a heavy carbon footprint. As a result, many researchers and companies sought more efficient and environmentally friendly ways to feed a growing and increasingly urban population. “Spraying pesticides” by John Messina for the EPA, May 1972. Image from the National Archives and Records Administration, PD-US-EPA. The idea of growing plants year-round by controlling environmental factors dates back as far as the Roman Empire. Emperor Tiberius Caesar had moveable plant beds built that could grow cucumbers year-round by being brought inside during cold or unfavorable weather. Over time, this evolved into the concept of greenhouses, which were used throughout Europe and Asia as early as the 13th century, and worked by trapping heat from the sun within an enclosed structure that insulated plants from cooler, ambient temperatures. These greenhouses, while innovative at the time, were all relatively low-tech compared to controlled-environment agriculture (CEA) today. Today, CEA can be defined as “an advanced and intensive form of hydroponically-based agriculture,”(3) which uses technology to create and maintain optimal conditions for plant growth and minimize the use of resources including water, energy, and space. 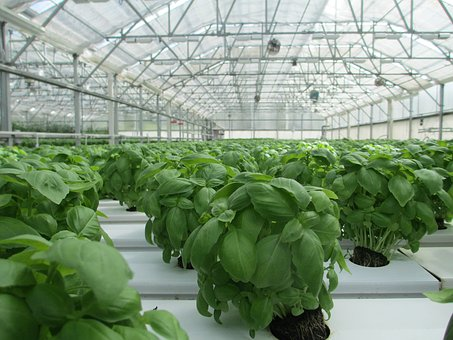 CEA works within an enclosed structure to provide a greater level of control over environmental factors which affect plant growth and quality like light, humidity, temperature, CO2, and nutrient levels. “Dr. 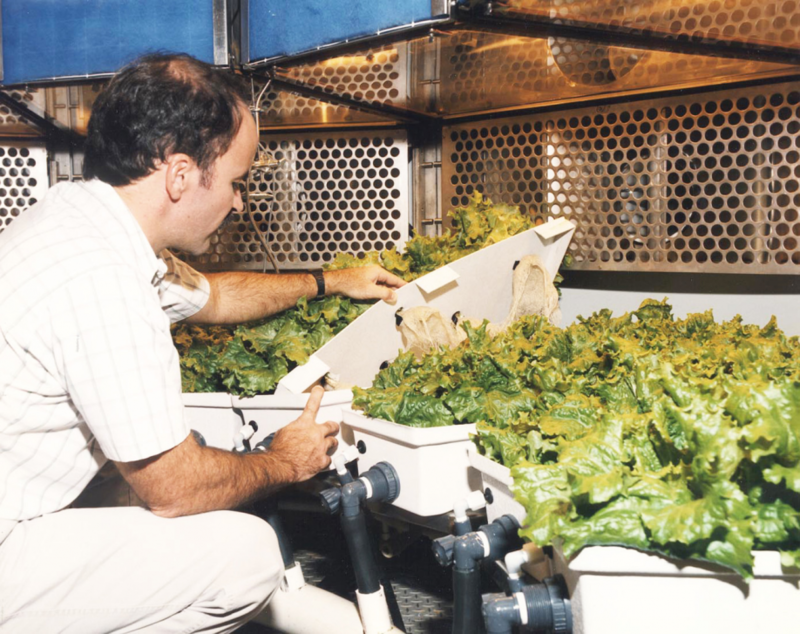 Ray Wheeler checks on hydroponically grown lettuce in the Biomass Production Chamber at Hangar L in 1992" by NASA, PD-USGov-NASA. In the 1980’s and 1990’s, NASA used CEA to grow crops on a Martian Base prototype research facility at the Kennedy Space Center in Florida, providing evidence that the nutritive value of indoor-grown food crops could be as good or better than field grown crops. (5) And in 1999, Cornell University built an advanced, commercial-scale CEA greenhouse facility in Ithaca, NY, which grew over 1,000 heads of lettuce per day. Since then, and increasingly over the last 5 years, CEA has been adopted as a commercially-viable solution to urban food production, and companies like Bowery have used CEA to build farms closer to the point of consumption that can produce food efficiently for urban populations. While CEA is a broad term, there are actually a number of different approaches that can be used to grow indoors. These techniques differ in how they deliver a plant’s three primary needs: water, nutrients, and light. 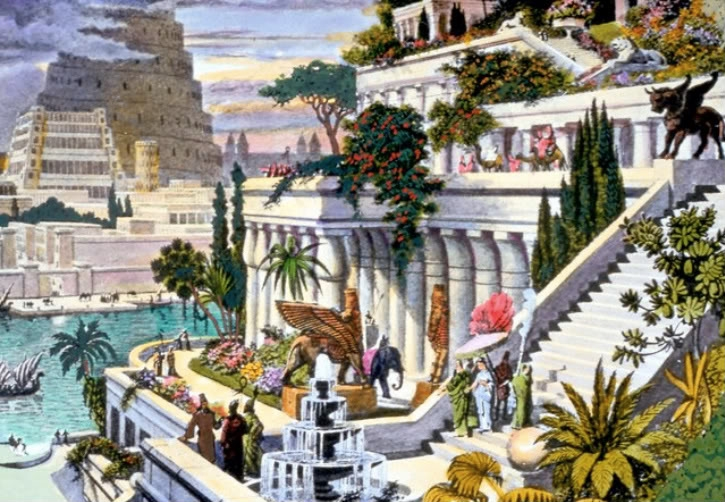 “Hanging Gardens of Babylon” by Maarten van Heemskerck, CC-PD-Mark, PD-Art (PD-old-100). For water, CEA relies on either hydroponics or aeroponics. Hydroponics is defined as the science of growing plants without soil, and has been used throughout history by the Babylonians, the Aztecs, and even the ancient Egyptians, among others. The commercial use of hydroponics spread after WWII (when it was used by the U.S. Air Force to provide fresh food to troops stationed on small, rocky islands in the Pacific), and continues to accelerate with the development of better accompanying technology and automation. 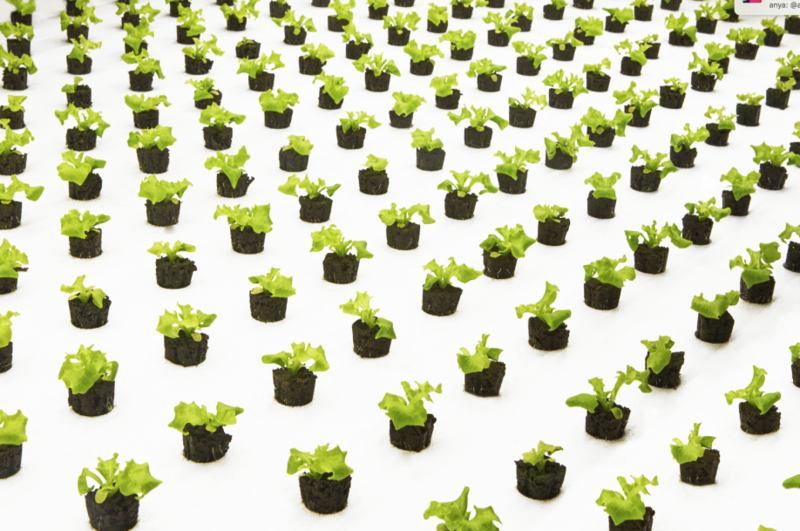 Traditional hydroponic methods, which we use at Bowery, grow plants directly in nutrient-rich water. 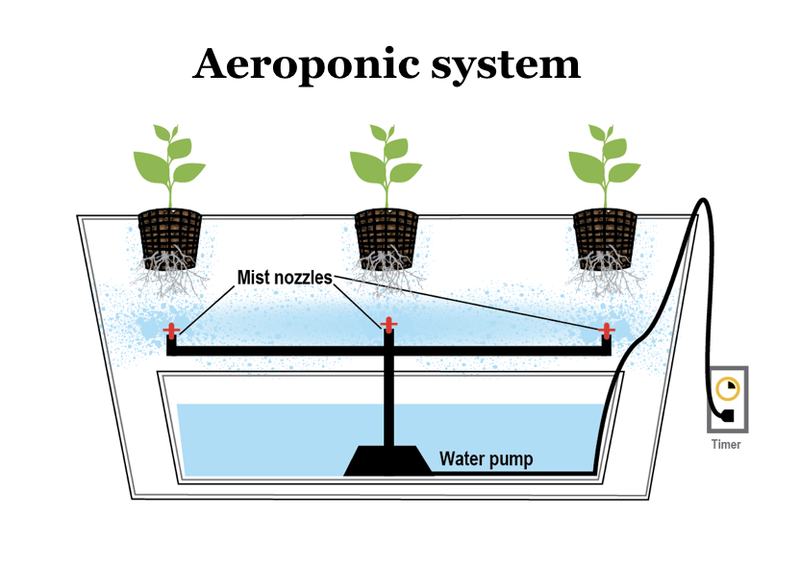 Aeroponics is technically a subset of hydroponics, and works by suspending plant roots in air and misting them with nutrient water. This method can provide a greater level of control over the amount of water that is used throughout the growing process, but may leave plant roots vulnerable to pathogens, if not carefully controlled. The second main difference in technique concerns the way nutrients are supplied to the plants. Hydroponics use mineral salts that mirror those naturally-occurring in soil, including minerals like calcium, magnesium, and iron. These mineral salts are combined in precise proportions and dissolved in water to provide nutrients directly to a plant’s roots, allowing for a balanced nutrient environment to achieve optimal plant growth. 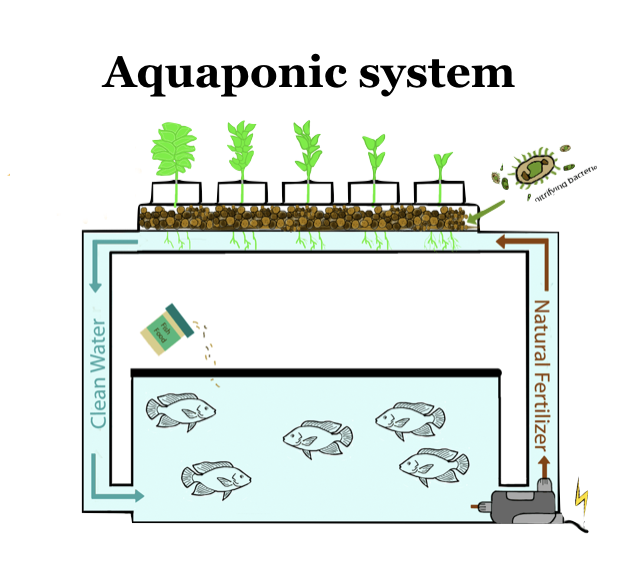 Aquaponics, on the other hand, is a closed-loop system that relies on the symbiotic relationship between aquaculture (fish) and agriculture (plants) for fertilization. While fish waste accumulates in the water and provides the nutrients necessary for plant growth, the plants naturally clean the water. It provides a balanced, yet less regimented, environment. Any growing environment requires energy to power photosynthesis. The biggest distinction in Controlled Environment Agriculture is in where this energy comes from, since it doesn’t come (entirely) from the sun, as it does in field farming. Greenhouses often use a combination of natural and artificial lighting. Greenhouses grow crops indoors in a structure with walls and a roof made primarily of transparent material, like glass or polyethylene, in order to make use of naturally occurring sunlight. They use glass to filter out the UV rays, reducing the heat build-up inside the growing environment. Often, they supplement this sunlight with artificial light to counteract the times when the sun’s energy is either less intense or hidden by clouds. Indoor vertical farms rely solely on artificial lighting. 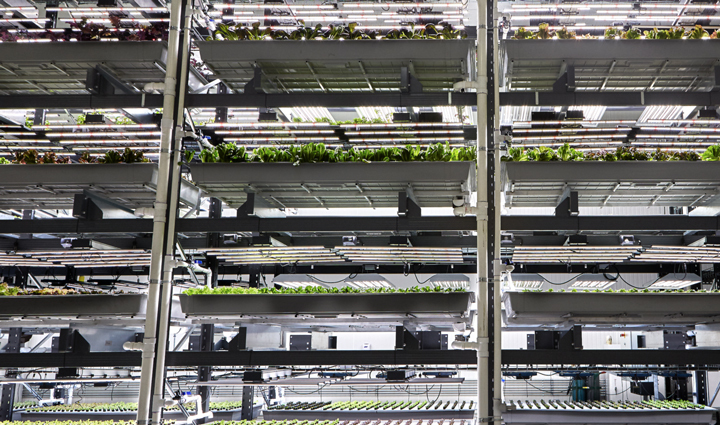 These farms grow crops entirely indoors inside of a warehouse or shipping container. In some of these farms, crops grow along vertical columns, and in others, they grow horizontally in stacked rows like the stories of a skyscraper (as they do at Bowery). One advantage to relying on LED lights, as we do at Bowery, is that they allow us to grow consistently and reliably 365 days of the year, regardless of weather or seasonality. Another advantage is that we can precisely control their spectrum, intensity, and duration, which allows us to adjust many variables including flavor profiles, and make our mustard greens spicier or our arugula more peppery, for example. We do this using BoweryOS, the software-based brains of our farm. Until about 5–10 years ago, greenhouse production dominated, but in the last few years more indoor vertical farms have emerged, due in large part to falling LED prices. Both greenhouses and indoor vertical farms can be built in and around cities allowing modern farmers to cut thousands of miles out of the supply chain and deliver fresh produce within days rather than weeks of harvest. While urban farming is on the rise, it still comprises less than 20 percent of agricultural production worldwide today according to the U.N. Food and Agriculture Organization. (6) Yet, this next frontier of farming boasts some important advantages: it allows farmers to produce more output, use fewer resources, and reduce transportation by locating operations closer to the point of consumption. As the global population continues to rise, people continue to move to and around cities, and resources continue to dwindle, indoor vertical farming is going to continue to grow rapidly in both scale and importance. At Bowery, we’re excited to be at the forefront of this growth and are passionate about realizing the potential of indoor agriculture to grow food for a better future by revolutionizing agriculture. (1 & 2) Trautmann, Porter and Wagenet (2012): Modern Agriculture: Its Effects on the Environment Source via Cornell University Pesticide Safety Education Program (PSEP). (3 & 5) Cornell University College of Agriculture and Life Sciences: Controlled Environment Agriculture. (4) Rorabaugh, Patricia A. (2015): Introduction to Hydroponics and Controlled Environment — Chapter 1 via University of Arizon aControlled Environment Agriculture Center. (6) Royte, Elizabeth (2015): Urban farms now produce 1/5 of the world’s foodvia GreenBiz.